Visit one of France's most popular attractions, the beautiful Mont Saint Michel, also famous for being a UNESCO World Heritage site. Starting with a pick up from the travel agency in Central Paris, all the way to the end of the tour, the entire day will be packed from start to finish. The journey from Paris to Normandy takes about 5 hours more or less, but not to worry - the beautiful sights of Normandy lush landscape will keep you company. 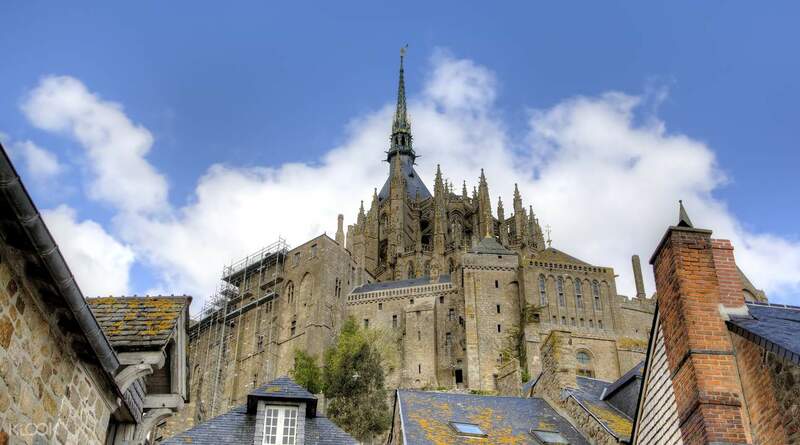 Once you finally arrive at Mont Saint Michael, you'll be treated to a delectable lunch at The Relais Saint Michel, a restaurant with unparalleled views of Mont saint Michel. After lunch, your guided walking tour begins. 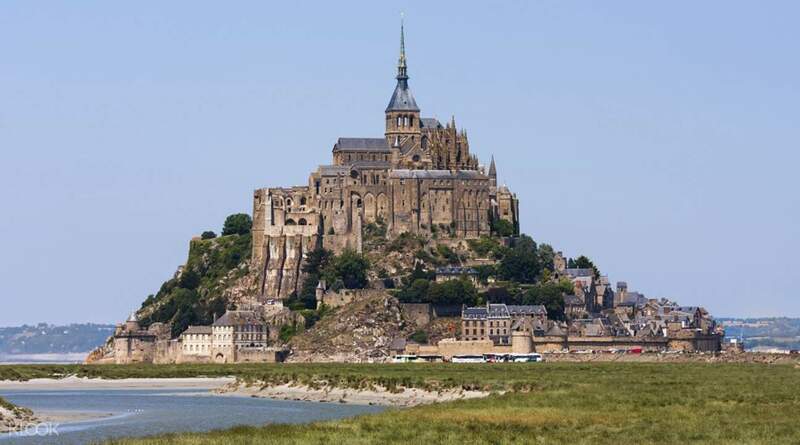 You will be taken to the heart of the island, Mont Saint Michel in the flesh - a fortified rocky outcrop that dates all the way back to the Middle Ages. 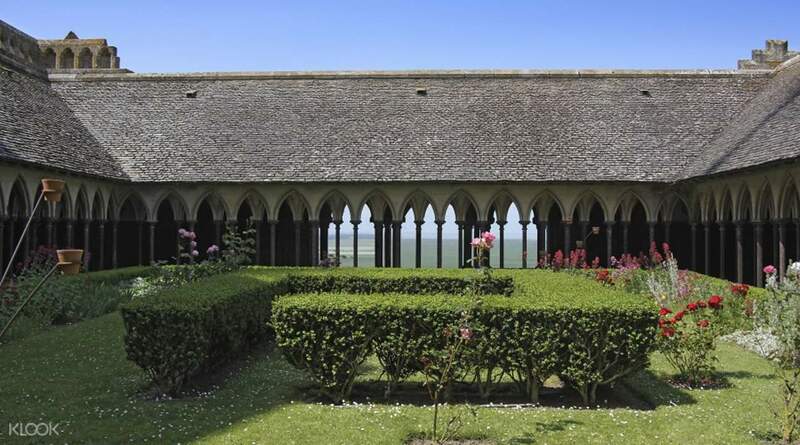 From there, you'll walk to the top of the island where the Benedictine abbey, a wonder of Gothic architecture three floors tall, lies. 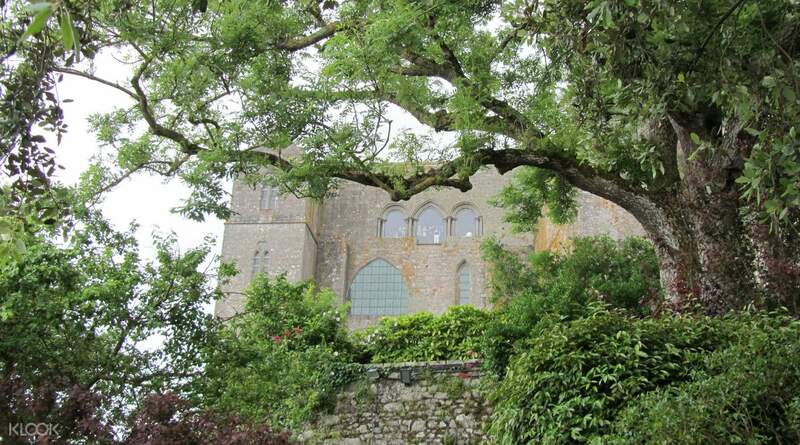 While there, you'll be taken to the cloister, the refectory, and the abbey's charming garden, overlooking the sea below. Before the tour ends, you'll have some free time to explore the island. You can take this opportunity to drop by the village museum, try out some local crêpes, go souvenir shopping, or just relax by the bay until 4.30pm. You'll then be taken back to Paris in a luxurious coach, and arrive in the beautiful city at around 9:15pm - a perfectly fun, full day at one of the most picturesque and most popular attractions near Paris. By metro: line 1 (Palais Royal or Tuileries station); line 7 (Pyramides or Palais Royal station); line 14 (Pyramides station). We arrived Paris Vision around 6.30am to collect our tickets and boarded the bus after 7am. The journey to Mont Saint Michel took around 5 hours with a 30 mins stop in between. Lunch was nice with a view of the Mont Saint Michel. We had a humorous tour guide. Traveling time was really long but we enjoyed the trip. We arrived Paris Vision around 6.30am to collect our tickets and boarded the bus after 7am. The journey to Mont Saint Michel took around 5 hours with a 30 mins stop in between. Lunch was nice with a view of the Mont Saint Michel. We had a humorous tour guide. Traveling time was really long but we enjoyed the trip. This is a long and tiring journey from center Paris to le mont saint michel. But the breathtaking view of Mt. St. Michel makes it worthy. The French tour guide leading the Chinese-speaking guided tour was very professional and nice. 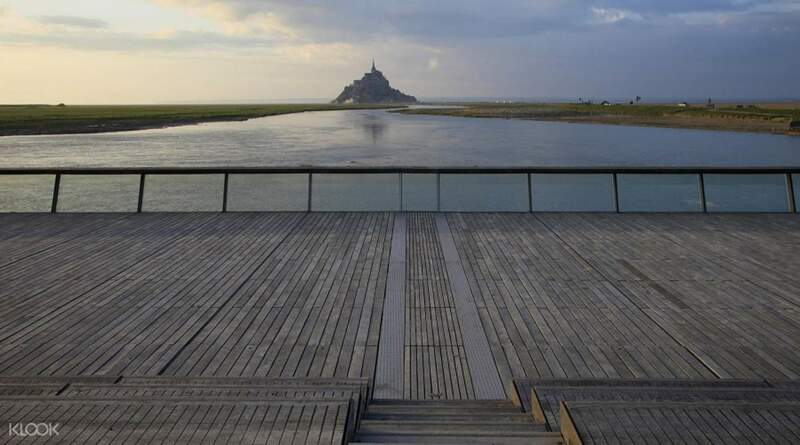 And the lunch provided was of fair quality and you have the opportunity to dine in the restaurant with view of Mont Saint Michel. This is a long and tiring journey from center Paris to le mont saint michel. But the breathtaking view of Mt. St. Michel makes it worthy. The French tour guide leading the Chinese-speaking guided tour was very professional and nice. And the lunch provided was of fair quality and you have the opportunity to dine in the restaurant with view of Mont Saint Michel. I took a total of 4 hours coach ride from Paris to Le Mont-Saint-Michel and another 4 hours back. It was quite a hassle-free one day trip for me away from the city. And lunch was good I get to try food that are produced in Normandy, France. I took a total of 4 hours coach ride from Paris to Le Mont-Saint-Michel and another 4 hours back. It was quite a hassle-free one day trip for me away from the city. And lunch was good I get to try food that are produced in Normandy, France. bus windows were super clean. can't say the same for the seats. the guide was very friendly and clear. the audioguide was really good to have and easy to use. it was a 4 hours journey there and another 4 hours back to Paris with a 25min break in between. don't expect much to eat at the rest stops except sandwiches and convenience stores. the shuttle bus to the mont was super packed. so we walked both ways and took us around 30 to 40mins each way. honestly 4 hours wasn't enough at the mont. maybe cause we spent quite some time walking there and back. we had lunch at the second restaurant u see after the mont entrance. (approx €25/pax) food was not bad but the omelette wasn't really worth the price. the crispy camembert cheese and Apple was delicious! so was the seafood soup. the Apple sorbet was yummy too but it came with alot of calvados alcohol so it wasn't to my taste. food also took awhile to come so we in total had about 1.5 to 2 hours to explore the monastery. the views were magnificent. crowds was okay (june) on the way back down after viewing he monastery, we realised there were other restaurants next to the walls of the mont and had cheaper 3 course deals. on the way back to Paris, the tour bus took a really nice route in the Paris city centre giving us a great view of the Eiffel tower. would definitely recommend this tour. bus windows were super clean. can't say the same for the seats. the guide was very friendly and clear. the audioguide was really good to have and easy to use. it was a 4 hours journey there and another 4 hours back to Paris with a 25min break in between. don't expect much to eat at the rest stops except sandwiches and convenience stores. the shuttle bus to the mont was super packed. so we walked both ways and took us around 30 to 40mins each way. honestly 4 hours wasn't enough at the mont. maybe cause we spent quite some time walking there and back. we had lunch at the second restaurant u see after the mont entrance. (approx €25/pax) food was not bad but the omelette wasn't really worth the price. the crispy camembert cheese and Apple was delicious! so was the seafood soup. the Apple sorbet was yummy too but it came with alot of calvados alcohol so it wasn't to my taste. food also took awhile to come so we in total had about 1.5 to 2 hours to explore the monastery. the views were magnificent. crowds was okay (june) on the way back down after viewing he monastery, we realised there were other restaurants next to the walls of the mont and had cheaper 3 course deals. on the way back to Paris, the tour bus took a really nice route in the Paris city centre giving us a great view of the Eiffel tower. would definitely recommend this tour. absolutely worth it. It makes you in awe from distance but it gets overwhelmingly gorgeous when you are there. I am so glad that i went there. The bus tour was also good. absolutely worth it. It makes you in awe from distance but it gets overwhelmingly gorgeous when you are there. I am so glad that i went there. The bus tour was also good. It was a great experience to witness the UNESCO site. Although the bus journey took about 4 hours each trip, the overall tour experience was really good, the timing was good and the guide lady were able to explained many of the interesting landmarks. My suggestion is that the tour can provide some information of the lunch menu for people that have booked the lunch package. It was a great experience to witness the UNESCO site. Although the bus journey took about 4 hours each trip, the overall tour experience was really good, the timing was good and the guide lady were able to explained many of the interesting landmarks. My suggestion is that the tour can provide some information of the lunch menu for people that have booked the lunch package. Tour with lunch was great but we didnt get enough time to walk around. Booked an english tour but it was apparently a mixed group (English/Spanish/Japanese). So we spent alot of time waiting since the tour had to be done in both languages. Tour with lunch was great but we didnt get enough time to walk around. Booked an english tour but it was apparently a mixed group (English/Spanish/Japanese). So we spent alot of time waiting since the tour had to be done in both languages. The coach was so comfortable, and the driver tried different ways to get to the destination sooner due to the protest demonstration on the way. Two drivers show their professionalism! The coach was so comfortable, and the driver tried different ways to get to the destination sooner due to the protest demonstration on the way. Two drivers show their professionalism! It was a great tour to mont saint Michel at Normandy region. Though the bus journey was Long, the ride is comfortable and the lunch included is alright. It was a great tour to mont saint Michel at Normandy region. Though the bus journey was Long, the ride is comfortable and the lunch included is alright. Totally worth it. Convenient to arrange bus with Klook so you wont have anything to worry about. Travel time is very long-almost 5 hours each way-but the bus is fast and comfortable. Although the lunch option does not have a cery good review, it is convenient because it is very hard to get a table in the island due to the number of tourist. We decided to explore the abbey before going to lunch but when we ate about to eat, we were told that lunch service is finished. We settled for sandwiches and crisps. Totally worth it. Convenient to arrange bus with Klook so you wont have anything to worry about. Travel time is very long-almost 5 hours each way-but the bus is fast and comfortable. Although the lunch option does not have a cery good review, it is convenient because it is very hard to get a table in the island due to the number of tourist. We decided to explore the abbey before going to lunch but when we ate about to eat, we were told that lunch service is finished. We settled for sandwiches and crisps.